Has an 18mm inch wide, 3mm thick Forest Green leather strap which threads through an elegant deep drop front base, which has been lined with luxury soft black coloured suede, then stitched with black high breaking strength thread. 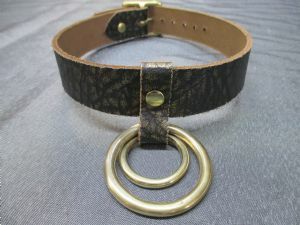 Strap incorperates a 20mm welded dee ring and a double roller locking buckle and keeper. 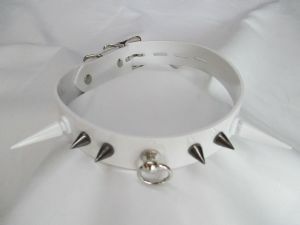 This design of collar is great for heavy play sessions and looks very attractive which sits really nice on the neck, or lower in the hollow of the throat. 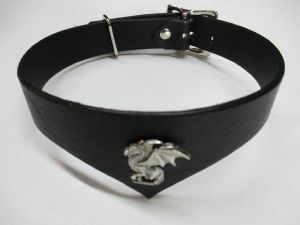 Available many Sizes or leather colour options. 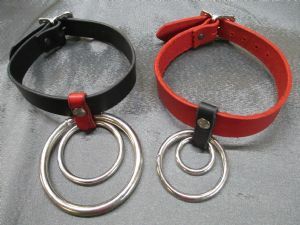 Forest Green Leather/Chain leash = has a Forest green leather handle which stitched in black high strength breaking thread, then riveted onto the welded medium weight chain link ring. Welded link chain has a heavy duty quality end trigger release hook. 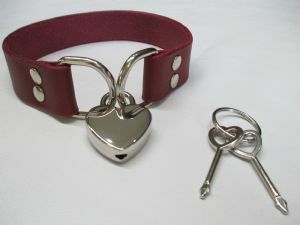 Listing is for the purchase of a single Leather Deep Drop front design collar with matching leather/Chianti suede lined chain leash.